Trump-Kim Summit, a Triumph for Something-or-Other. Singapore: They came, they gripped-and-grinned, they ate lunch, they went home. Supreme Leaders Donald Trump and Kim Jong Un held a photo-op and everybody came. The two dictators had a jolly time talking science fiction, hotels, and real estate. They watched videos, and Mr. Kim taught Mr. Trump to call joint military exercises “provocative war games” so they were easier for him to unilaterally cancel. 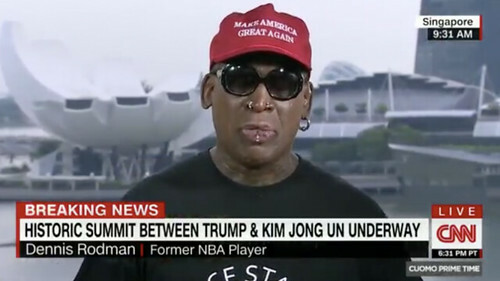 The White House called Dennis Rodman to thank him. President Trump went home early so he could talk to Fox News and play golf.